The West Bank section of land where this Christian gathering took place is a mere 100 acres. However, its Palestinian residents, the Nassars have turned their property into an touch point for demonstrating to evangelical American Christians how unfairly Palestinian Christians are being treated by Israelis. Here is a video made three weeks ago by Porter Speakman Jr, director of pro-Palestinian Christian film With God on Our Side about Nassar family. This video was recently aired at the Christ at the Checkpoint Conference at Bethlehem Bible College in Bethlehem. 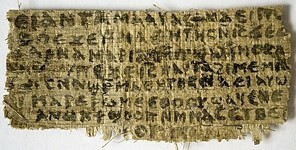 Mar 19, 2012 Posted by Scripture Solutions on Mar 19, 2012 | Comments Off on The Burial Box of Jesus’ Brother James – Fact or Fake? The Burial Box of Jesus’ Brother James – Fact or Fake? 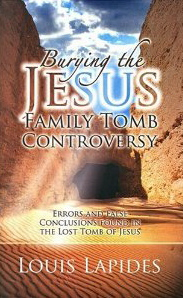 After seven years of trial, testimonies from a lineup of archaeological experts and a 475 page verdict, presiding Judge Aharon Farkash of the Jerusalem District Court court not reach a decision supporting the fact the ossuary [a limestone burial box] of James, brother of Jesus, was a forgery. As a result the Jerusalem judge could not charge Israeli collector Oded Golan, the owner of the bones box of James, with forgery regarding the ossuary. The Israel Antiquities Authority, which believes Golan’s most high-profile items are forged, said the case shows the limits of science in proving forgeries, but it also prompted museums and universities around the world to be more suspicious of finds of uncertain origin. In light of the ruling students of the Bible are left with the conclusion the ossuary may be authentic after all and that science could not debunk the veracity of the claim that the box once housed the bones of James, the brother of Jesus of Nazareth.